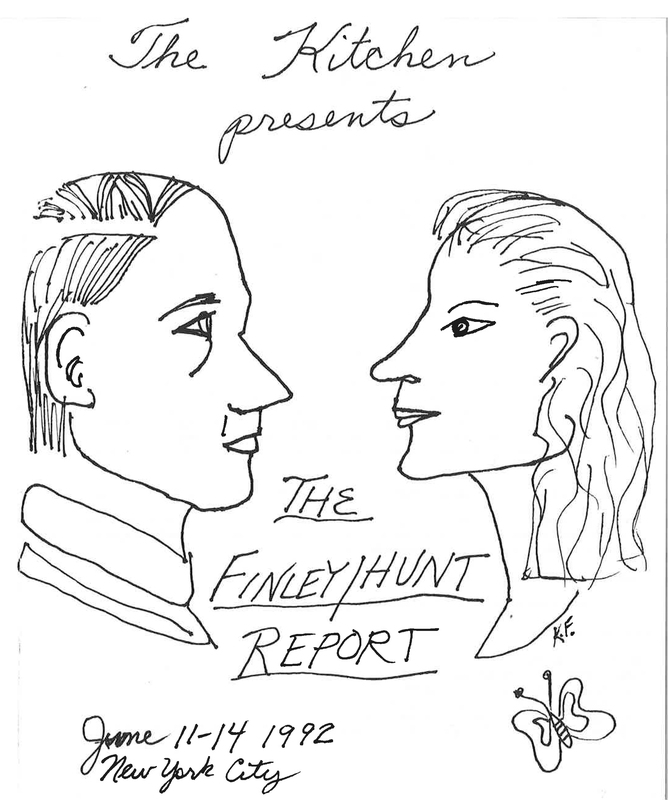 The Finley-Hunt Report was a collaboration between the performance artist, playwright and visual artist Karen Finley and the pioneering composer/performer Jerry Hunt commissioned by The Kitchen with support from the National Endowment for the Arts Interarts Program. The work adopted the familiar format of the television show to examine mental illness and the way that emotions and culture are conveyed on television broadcasts. Hunt composed electronic music for the performance, which served as a backdrop for Finley’s recitation of her poems and other writings that addressed topical issues as well as broader social concerns. The work also featured a series of video sequences similarly focused upon the television format as well as performances by the two artists in which they emulated the tropes of television interviewing styles while discussing subjects of a deliberately transgressive nature.